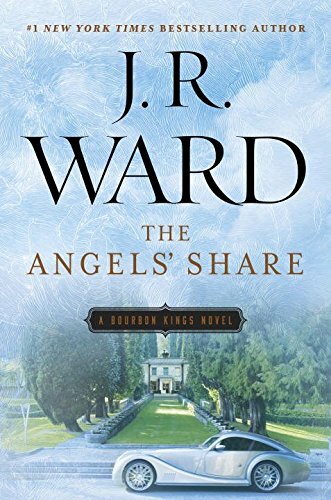 The Angels' Share, second in Ward's The Bourbon Kings series picks up where last year's first book, The Bourbon Kings ended. The Bradford family struggles to come to terms with their dire financial situation. The suicide that has them all reeling - though not mourning - might not be a suicide after all. Siblings Lane, Gin, and Edward all react differently to the news of what their father has done and how it impacts each of them while fourth sibling, Maxwell continues to be MIA. New characters are introduced into the mix and their actions will add more layers of complexity to the already fraught situation. A beloved member of the Bradford household staff faces a dire health prognosis while the Bradford matriarch's actions leave me wondering if her health is really as delicate as we are led to believe. Lane and Lizzie continue to strengthen their relationship in the face of daunting obstacles and I continue to cheer them on. Bradford daughter, Gin makes a decision that could put her life at risk and, surprisingly, shows glimpses of humanity that may eventually bring me around to her side. Believe me, Gin takes "flawed" to new heights. Missing son, Maxwell returns in this book but doesn't have enough page time for me to form an opinion yet though hints are dropped that indicate he will most likely be just as complex as the rest of the family. I'm sure we'll be learning more about him in the next book. Eldest son, Edward continues to be the character who intrigues me the most. My heart breaks for what he has been through and though the end of The Angels' Share leads readers to believe something about Edward, I'm of a different opinion. I'm already looking forward to the next book to find out if my suspicions are correct. 1) This is an ongoing family saga. While romantic relationships ebb and flow, the books in this series are not what I would term as traditional romance. There are love stories and, hopefully, there will be multiple happy endings over the course of the series but you should be aware that each book does not focus on a different primary couple with a definite happy ending for that couple. 2) If you enjoy well-crafted, sweeping sagas with a large cast of multi-layered characters, complex relationships, an ongoing mystery, and plenty of lust, betrayal, deceit, and, yes, love, then I suggest you give this series a try. I have always enjoyed family sagas and both The Bourbon Kings and The Angels' Share sit firmly on my "recommended read" list. Ward has done an outstanding job of bringing the Bradfords and those around them to life. I love the flawed, realistic characters, the dysfunctional family dynamics, the struggle to save the family business from certain ruin and rebuild both their fortunes and tarnished social status, the cross-class romance, the murder mystery, and the suspicions hanging over all of their heads. With The Bourbon Kings and The Angels' Share, Ward has tapped into the guilty pleasure that TV series Dynasty and Dallas brought me in the 80's and I am fully on board with this new series. It's a deliciously addictive saga that has sucked me in and refuses to let go. 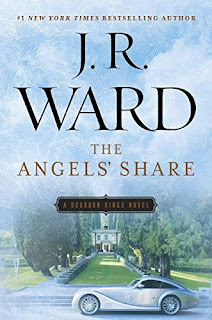 I loved The Boughs Kings and can't wait to read Angels Share. You're right on PJ about Dynasty and Dallas. Leave it to JR Ward to write an addicting book series. Hope you enjoy The Angels' Share as much as I did, Carol! I'm addicted to the Black Dagger Brotherhood and just started on this series so I kind of know what you mean. Loved Dallas and Dynasty. Just from that blurb, I know I'm going to need to read this series. Read the books in order, Pamela. Hope you enjoy them!